notes regarding letter from the TGA. 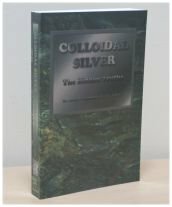 This website contains articles about the amazing qualities of Colloidal Silver, book reviews & general information and purchasing details for books. Look no further - There isn't one ! If and when there is a PDF available for these books, we will be the first to know. In the mean time don't miss out on reading this book. Purchase Now! Disease [is] not an entity, but a fluctuating condition of the patient's body, a battle between the substance of disease and the natural self-healing tendency of the body. KES 2006 - Korea Electronics Show October 17-21, 2006. 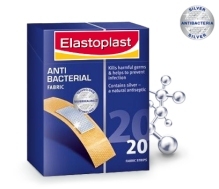 Elastoplast® SilverHealing™ bandaids and dressings are now available. - That's why they put a rubber on the pencil." "Bruises hurt erased afford erected analysis hurt too infectious dead"
It seems to me that there are literally hundreds of thousands of lives around the world that could be saved each year with colloidal silver. According to Dr. Robert Wachter, author of "Understanding Patient Safety," between 40,000 and 100,000 people in the United States die each year as a result of medical errors. "That would be the equivalent of a large jet crashing every single day in the United States," he said. May 2012 - Added note on Home page re: eBook not being available. Jul 2007 - USA freight included prices added. Apr 2007 - Dr. Keith F Courtenay's book now available. Dec 2006 - MProCSG now available from another site. Dec 2006 - TGA requests removal of information. Sep 2006 - Moved domain to more reliable server. Sep 2006 - New 'Frequently Asked Questions' Page. Jun 2006 - Introduced "In the NEWS" column. Jun 2006 - Introduced "Quotes" column. May 2006 - Complete site makeover with better navigation. Jul 2004 - First major upgrade of site to new design. Jul 2001 - Site established on private home page. Please note:- I have received a letter from the TGA (Therapeutic Goods Administration) which is the Australian Commonwealth Government equivalent of the FDA (Federal Drugs Administration) in the USA, regarding my Colloidal Silver product. This letter instructs me to cease promotion and supply of my Colloidal Silver product (Colloidal Silver liquid) for human therapeutic uses, because my Colloidal Silver product does not have an entry in the Australian Register of Therapeutic Goods(ARTG). Any product which when presented with claims for human therapeutic use requires an entry in this above mentioned register together with the required forms and fees! Because of the above requirement I will not be able to directly present any information which would describe the advantages of using my Colloidal silver product for human therapeutic use. I have now received another letter, dated November 24, 2006, from the TGA (Therapeutic Goods Administration) informing Kestar Enterprises that it must cease manufacture of the "Colloidal Silver Generator" because the device is not entered onto the Australian Register of Therapeutic Goods (ARTG), and to cease making therapeutic claims for Colloidal Silver. Basically, a therapeutic good is one which is used in or in conjunction with the health of a person or animal; (a medical device). As of December 2006 Kestar Enterprises unfortunately has to remove Colloidal Silver generators from sale on this information web site. As at the Jan 2007 the TGA had not approved any colloidal silver devices for therapeutic use in Australia. Kestar Enterprises can continue to display information, on this web site, about colloidal silver which are based on other peoples findings as this web site no longer promotes therapeutic devices. This web site has now been modified to comply with the TGA requirements. 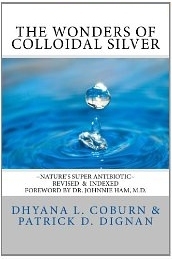 Colloidal Silver by emailing Kestar via the Contact Page.